A break even analysis helps you in analysing at what point your business will be able to earn all the money it has invested so that the entire investment is covered and the revenue that follows can be termed as profit. 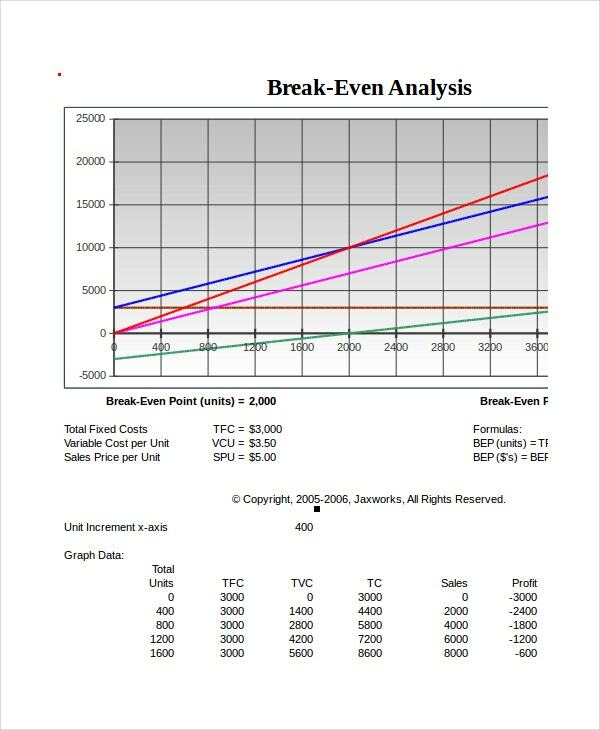 Break even analysis templates can help you in understanding how to perform a break even analysis which can assist you in doing the same for your venture. 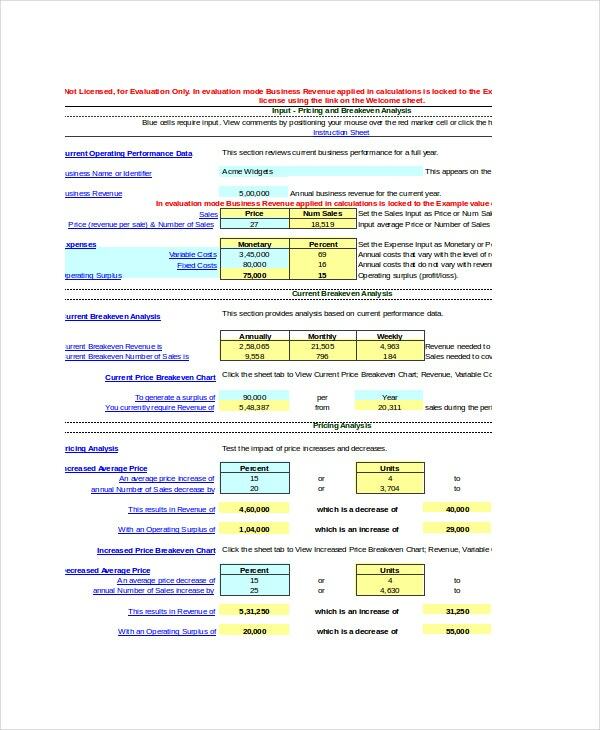 Check out these analysis templates given below. 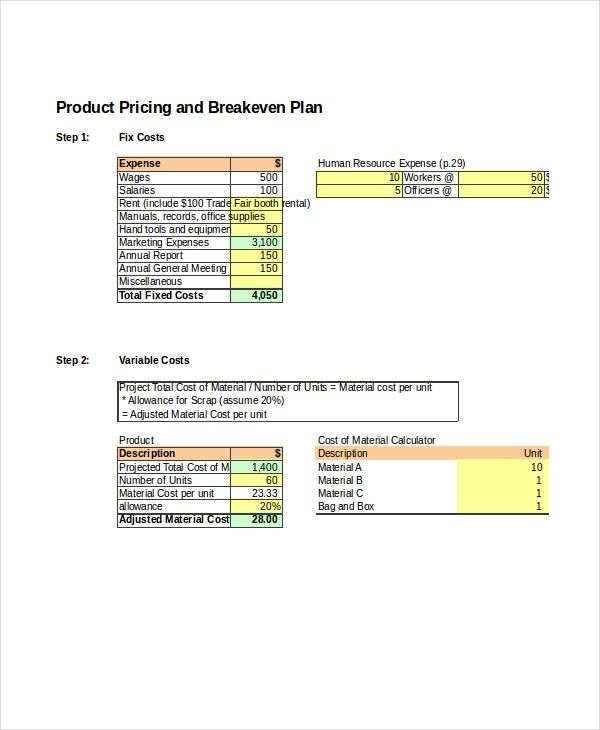 This break even analysis example is an Excel template which takes into account your fixed costs and variable costs to determine the total amount of sales required to break even. 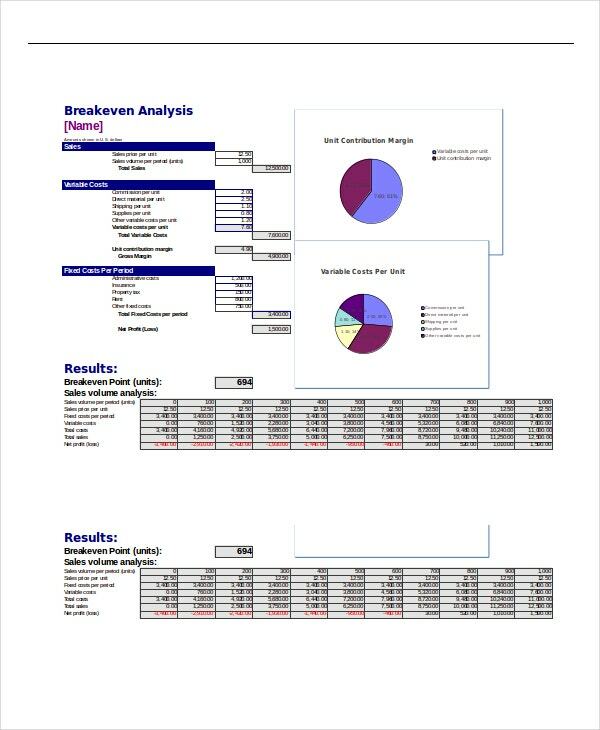 This is a blank break even analysis template which you can make use of to forecast the amount of saes that will be required to be done by your company to break even. 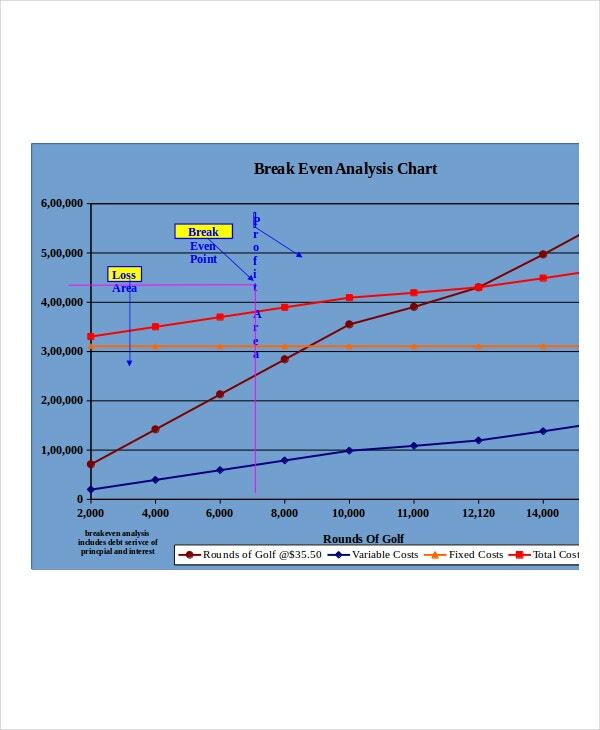 This break even analysis template can help you in representing your various costs, sales required to break even and profits gained on further increase of sales in a graphical form. > How does Break Even Analysis help a Business? A break even analysis helps the business in making many important decisions. The primary objective of any business is to generate a profit, but a profit cannot be generated if the company doesn’t break even first. In fact, if the company doesn’t break even it is technically in loss. By doing a break even analysis a company decides its course of action so as to generate enough revenue to cover all the costs incurred as fast as possible so that the business doesn’t go into loss. Many major decisions regarding the company’s future are taken based on the break even analysis. You can also see SWOT Analysis Templates. 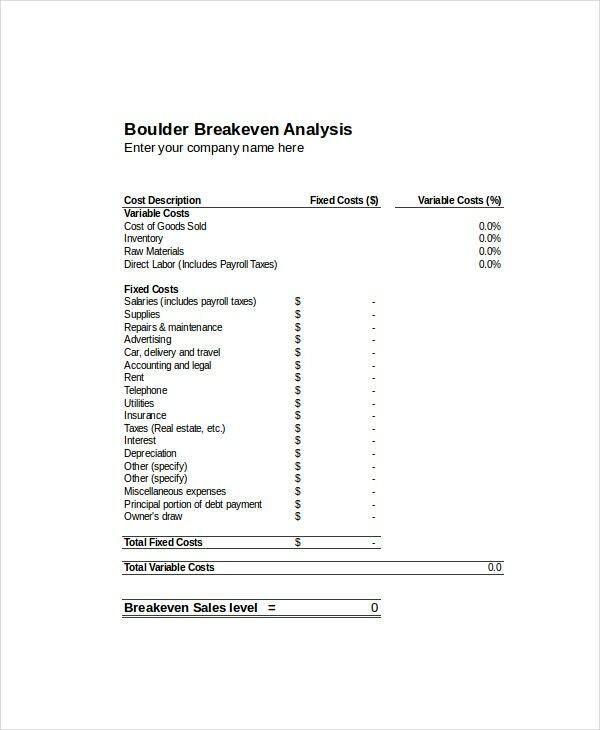 This break even analysis template can help in determining the pricing of the goods to be retailed to break even by considering various costs like employee salaries, marketing expenses, etc. 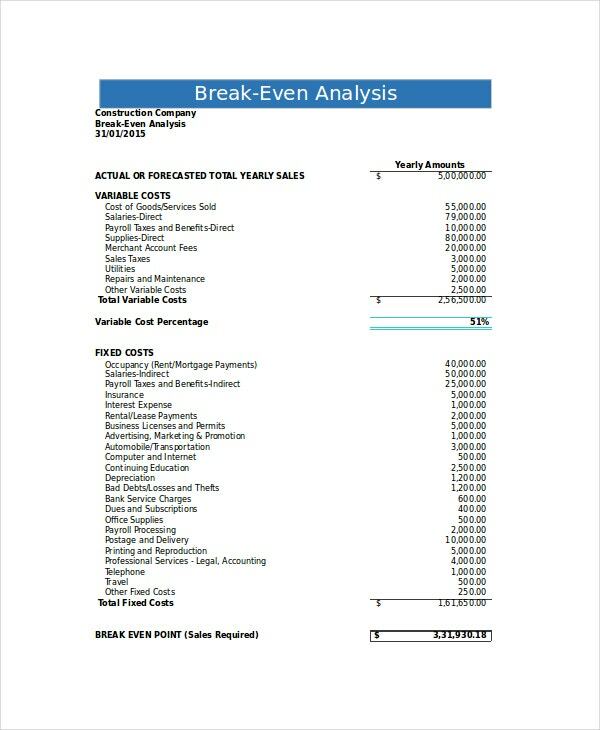 This break even analysis template can help you graphically represent how breaking even for your company will be affected by altering the pricing of the goods and services you provide. 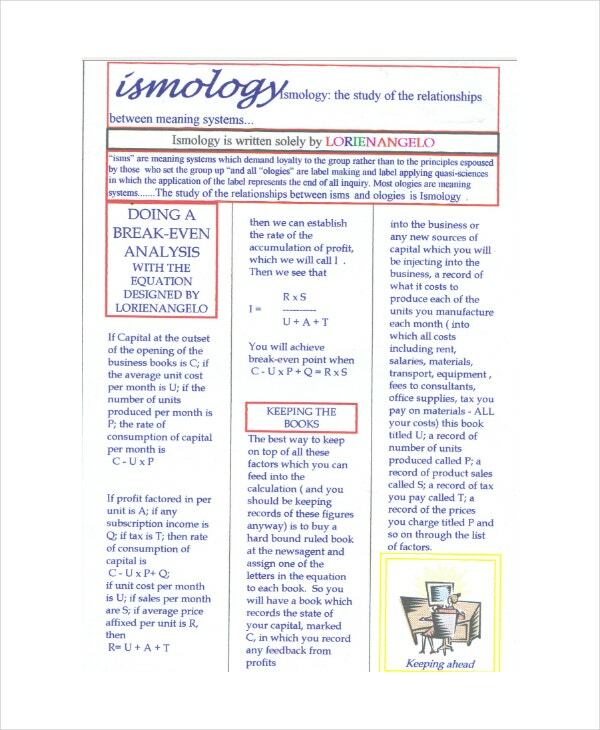 > When should Break Even Analysis be Used? A break even analysis should be used in cases where a particular good or service has been newly introduced and it is expected to be the only source of revenue. Break even analysis is done in new businesses and start-ups to determine how much revenue they should be earning to cover all the funding provided by investors with their interest along with the various costs the start-up would have incurred till that point. If an existing business decided to branch out and start a new venture, like risk analysis templates a break even analysis is used to determine at what point the new venture will start generating profit. > What are the Advantages of doing a Break Even Analysis? There are various advantages of doing a break even analysis. By doing a break even analysis you get an idea of how your venture is going. You get to know whether it is going along the way you initially planned it to or whether there has been some deviation requiring you to take an action. 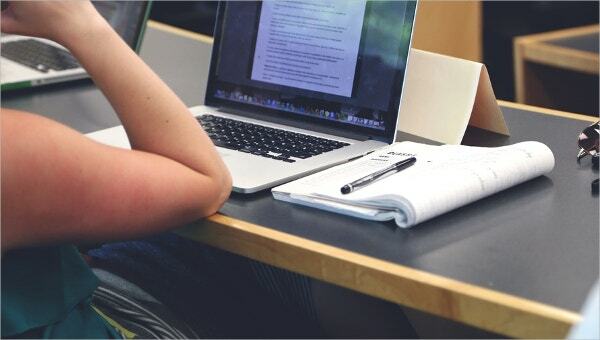 A break even analysis helps you in deciding what changes you should make in our current course of action so that you can break even as soon as possible. A break even analysis gives you an estimate of the time that will require before you start generating profits so that you can accordingly plan for you business. 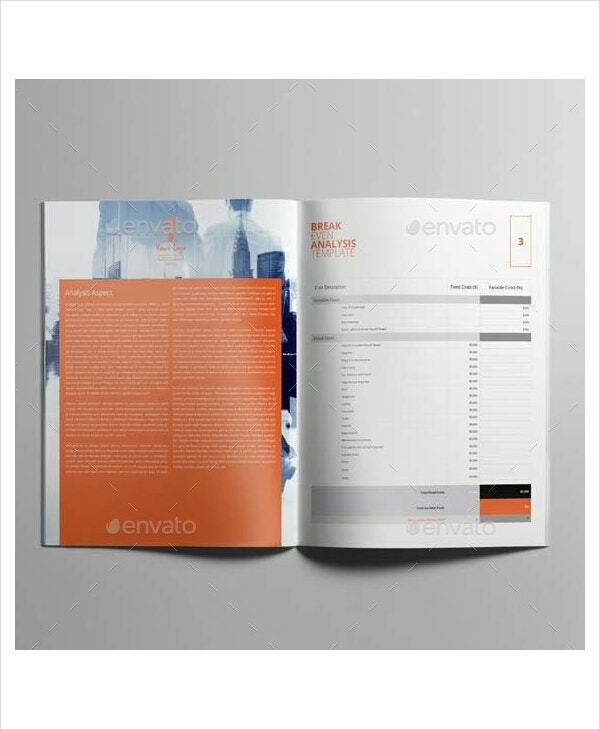 Business plan templates can be useful if you wish to create a plan of action for your business ventures. If you need assistance with managing financials of your organisation then you can make use of financial templates. 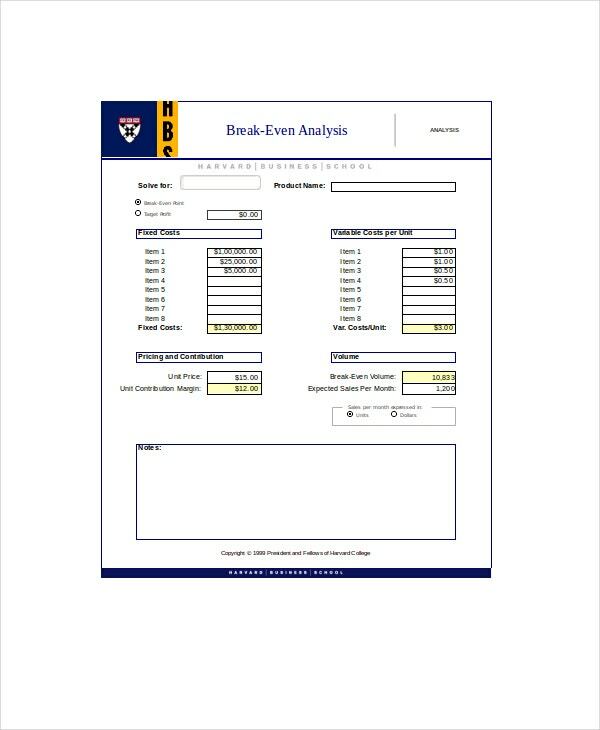 Break even analysis templates are highly useful and will surely be of great assistance for you in doing such calculations.